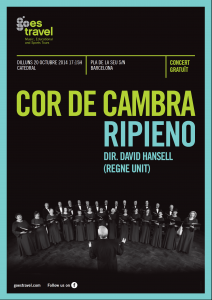 In October 2014, The Ripieno Choir travelled to Barcelona for a week-long tour, singing in many famous and interesting places. 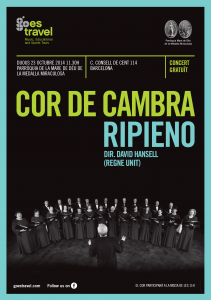 Here we report on the concerts and activities the choir undertook while on Catalan soil. After leaving dreary weather in London, we found beautifully warm weather in Barcelona. 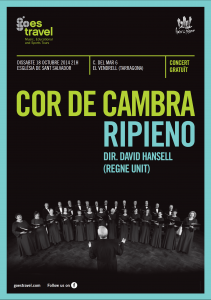 Our hotel was about an hour south of Barcelona, near the beach, but there was no time for relaxing as we headed off to rehearse at the nearby church of St Salvador at El Vendrell. 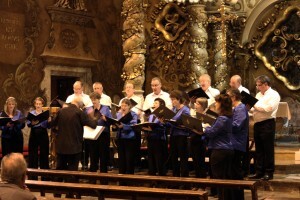 With its amazing acoustic, St Salvador offered a sumptuous introduction to our musical forays in Spain. 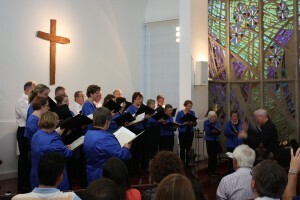 For our first concert of the tour, the ladies donned the choir’s new blue jackets. 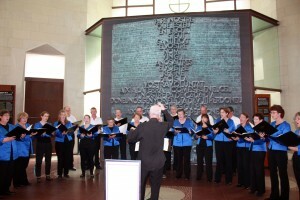 We performed the full programme, which was well received by small but appreciative audience. 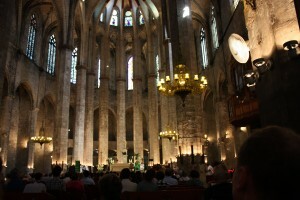 Basilica de St Maria del Mar – a superb ancient gothic church in the centre of Barcelona, large enough to be a cathedral – welcomed us to sing at Sunday morning’s multi-lingual mass. 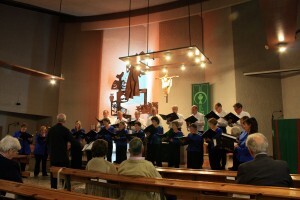 The church was very full with congregation, many of whom remained after the mass to hear us sing a few extra pieces. 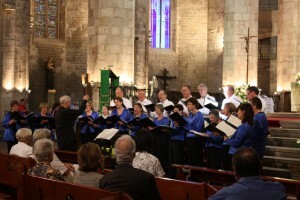 The choir explored the delights of Barcelona, and its variety of eateries, before heading to a protestant church (St George’s) in the suburbs of Barcelona. In spite of it looking unpromising from the outside, the church was friendly and attractive inside, with a beautiful multi-coloured window, which the evening sun shone through. 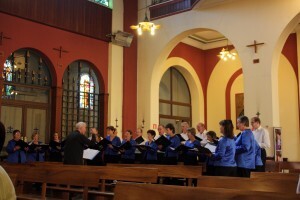 We sang the full programme of music to a packed audience of locals and expats – who loved every minute – and enjoy the little post-concert reception. 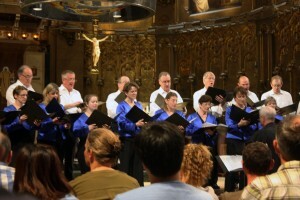 Monday was the day many of us were really looking forward to: we were to sing at the enormously impressive La Sagrada Familia and Barcelona Cathedral. 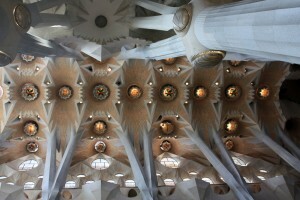 La Sagrada Familia, designed by Gaudi and still under construction (several towers still due to appear), is a stunning and highly unusual building. 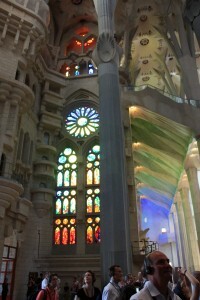 The interior is based on nature, with the many columns having a distinct tree-like feel, and the colours of the windows designed to complement the changing colours of the day. The exterior is highly detailed with carvings of both biblical and natural features. 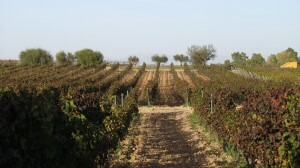 The prospect of singing in that vast space was a little daunting, but the experience was amazing; and a good number of people stopped to listen – some staying all the way through. 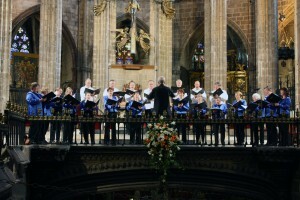 After lunch the choir reconvened at the iconic Barcelona Cathedral where we performed a near full programme. The pews in front of our performance area were filled with passing tourists, who enjoyed listening to music designed to be sung in just such impressive buildings. 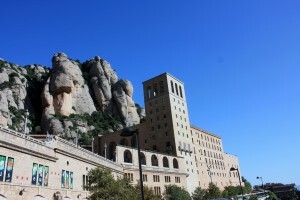 Tuesday offered us another special day in an iconic location, this time Monserrat Abbey. The day’s treats started with a trip on the rack railway up the mountain. We were then allowed to sing in the abbey itself for 10 minutes before the famed boys’ choir performed their daily Salve Regina; Cameron making a dramatic appearance to join the tour with half a minute to spare. 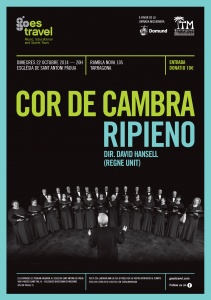 We sang in front of the largest crowd we have ever performed to – the abbey was jam-packed, including hundreds of Spanish school children sitting in the aisles! 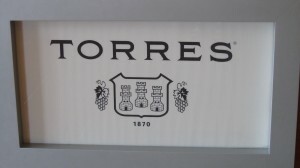 On our way home, we indulged in a visit to the Torres winery – a short tour of the winery, a tasting of a young Viña Esmeralda, and some retail therapy rounding off an idyllic day. 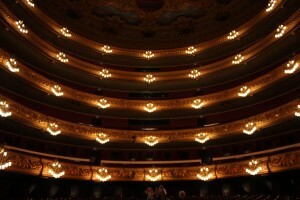 In contrast, Wednesday was a quiet day – the morning to ourselves, and the afternoon in Tarragona sightseeing its famous, second century, Roman amphitheatre. Tarragona’s cathedral was a delight, being more spacious and less ornate than Barcelona Cathedral, but sadly we weren’t due to sing there. Instead, after dinner, we headed to what looked like an office block but in fact was the spacious and rather attractive church St Antoni De Padua in the commercial district of Tarragona. 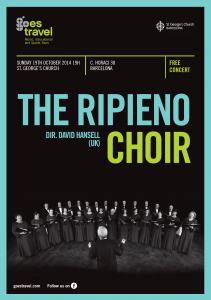 With its marvellous acoustic we sounded good and enjoyed ourselves, and our full programme concert, for a local charity, was a hit – the audience giving us a standing ovation as we file out. 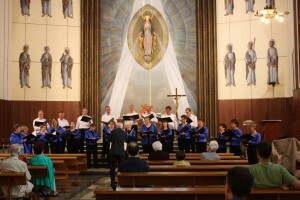 Our last day saw us back in the heart of Barcelona, first to the wonderfully named “Our Lady of the Miraculous Medal” where we were to sing at the morning mass, with a short recital afterwards. The congregation, mainly elderly ladies, were delighted to hear the mass sung in Latin and applauded warmly, offering individual thanks as we made our exit. 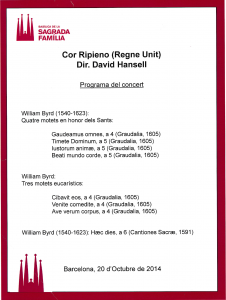 It feels good to give such pleasure, by singing Byrd and Victoria. 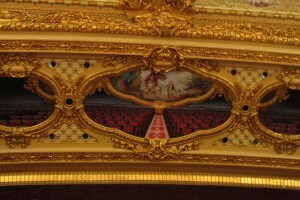 Our final organised sightseeing session was a tour of the stunning rococo-style Opera House – there was no doubting the enthusiasm of our young guide, who described the history of the building, including its two extensive fires, and their energetic marketing activities which fill most of the seats. After a final dinner and customary speeches and gifts, we headed home to the wet and cold of London, with a new found team spirit and enduring love of the music we’d spent all week performing.